Small addition expanded an alcove creating a comfortable sized family room. Vaulted ceiling and recessed lights help open up the space. 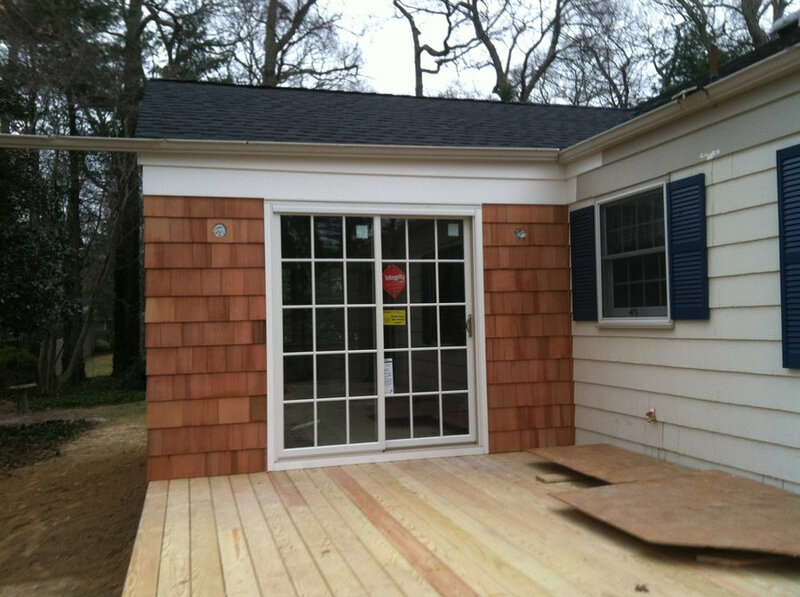 Cedar Perfection installation complete. Original gutter temporarily repurposed to prevent water infiltration until new gutter can be installed.